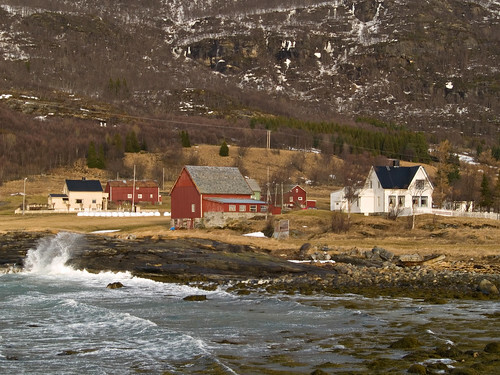 Here you can see a typical village in northern Norway placed very close to the sea. From old times the living house was painted white and barn (and boathouse) in red. This was because red paint was cheap and white was more exclusive.